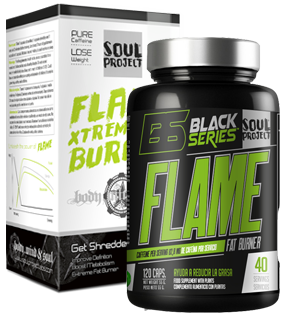 Soul Project's Flame is a powerful thermogenic that will help you to get rid of the fat that you don't want. Its formula seeks the maximum synergy between their ingredients to achieve a fat burner effect very powerful. But it does not only speed up the metabolism of fat, it also generates a burst of energy using stored fat that will help you in your training. In addition, it will help to control the appetite and it will provide you an extreme muscle definition. 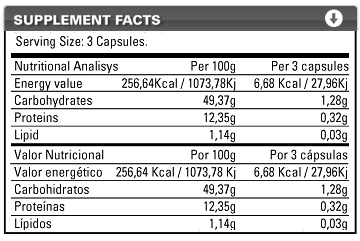 Take 1 capsule at breakfast, 1 capsule at noon and 1 capsule 30 minutes before training. Leave at least 3 hours of difference between each dose. Do not take any capsule after 6:00pm. Coffee, green tea, yerba mate, guarana, ginseng, Kola nut, black pepper, bulking agents (maltodextrin, microcrystalline cellulose), anti-caking agents (magnesium stearate, silicon dioxide), coating agent (gelatin), colorings (E-172, E-129 and E-171).